When Florida Gov. 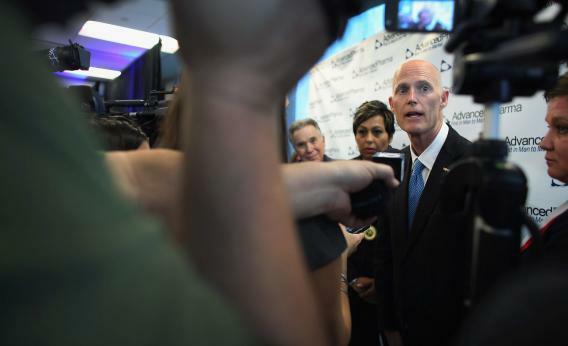 Rick Scott buckled and said he’d support Obamacare’s Medicaid expansion, I urged caution because the GOP-run state legislature would get a say on this. It could always reject the expansion “and make Scott seem—for the first time in recorded history—like a centrist” as he faces a 2014 re-election campaign. With a straight party-line vote on Monday, the House Select Committee on Patient Protection and Affordable Care Act voted against expanding Medicaid… Republicans hold a majority of seats on the committee and the final vote was 10-5 in favor of Rep. Matt Hudson’s motion to direct staff not to write any legislation that would implement Medicaid expansion. Pennsylvania Gov. Tom Corbett and Wisconsin Gov. Scott Walker also preside over reasonably safe Republican legislatures, which might have blocked expansion anyway.